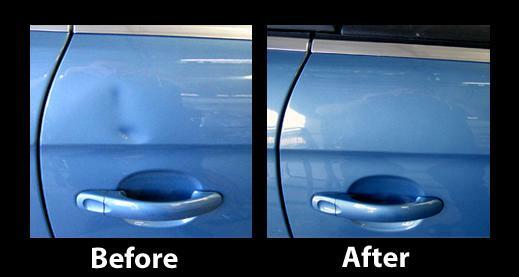 All paint refinishing is guaranteed for as long as you own your vehicle. 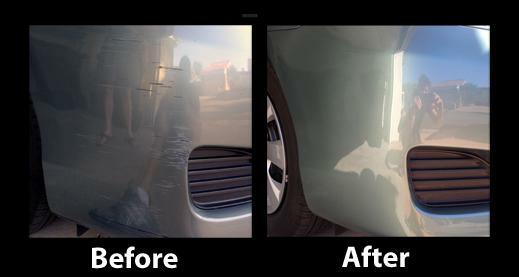 No more waiting for your car in the body shop for a week or more. We charge half what a body shop will charge you because of our lower overhead. We've done work for the following dealers: Land Rover, Aston-Martin, BMW, Mercedes, Ford, GM & more. Thank you for visiting the website of Auto Cosmetic Solutions. Take some time to read about our services, scroll through the examples of our work, and watch a few video testimonials from our happy customers. Once you see the quality of our work, experience the convenience of our mobile service, and enjoy the money you saved, you will never pay expensive auto dealer and body shop prices again. Serving: Newport Beach, Laguna Beach, Laguna Niguel, Laguna Hills, Mission Viejo, Dana Point, Irvine, Aliso Viejo, San Clemente, Anaheim Hills, Corona Del Mar, Huntington Beach, Rancho Santa Margarita, Ladera Ranch, Balboa Island, Foothill Ranch, Lake Forest, San Juan Capistrano, Coto de Caza, and other OC cities.